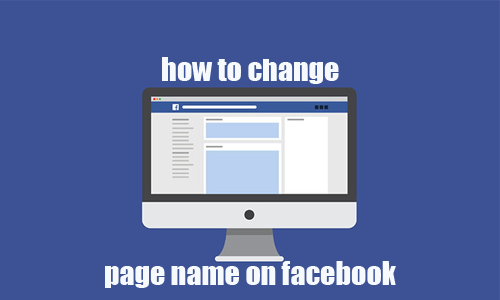 How to change page name on facebook is a regularly asked question on the internet. Because most people open facebook pages without an understanding of Facebook and ad concepts. If you are looking to establish a large customer base, fans, organization online present or even promote a movement. Naming the Facebook page is critical to attracting organic customers. Like in the real world, people change or rename business name for marketing reasons likewise you can change Facebook page name. Amid the challenge of choosing a marketable business name and facebook page name, there are strict rules for changing page name on facebook. How to change page name on Facebook can be tricky and really confusing because of the guidelines. There is no way around it for very important reasons. Therefore, you have to follow the set guideline. Hence, we decided to make an article to help users. The page or click on the See More to view all the Facebook pages linked to your account. Enter a New name in the box provided and click Continue button. NOTE: Above all, be careful to a select new name that is not so different or misleading from the purpose of your page. So, the change can be approved within 7days. confirm Facebook page change name request. Facebook usually takes within 3 days to review the Name change request because the request has to confirm to relate to the general purpose of the page. However the process my just take a few minutes or days to complete but certainly not more than 3days. A whole lot can be done with the facebook page. you can check other articles on the site.